Announcing Short Cut keys in Maestro! Always open to customer feedback, we have been working on developing a suite of short cut keys for Maestro. We have focused on the high use areas – generating documents and editing fields within the update fields section. As an example, users should save around 40 mouse clicks when navigating through field groups and generating a purchase first letter to client. 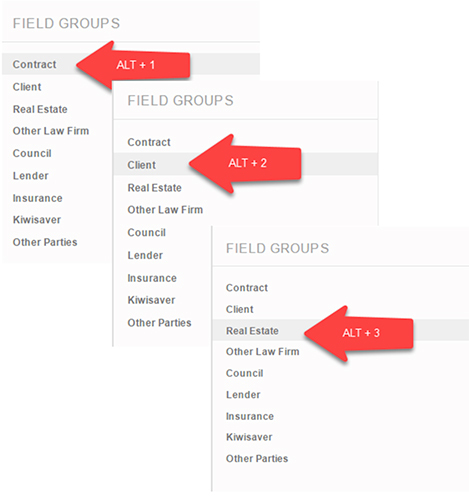 Shortcut Keys within this section will allow users to navigate vertically through field group links in the update fields page. 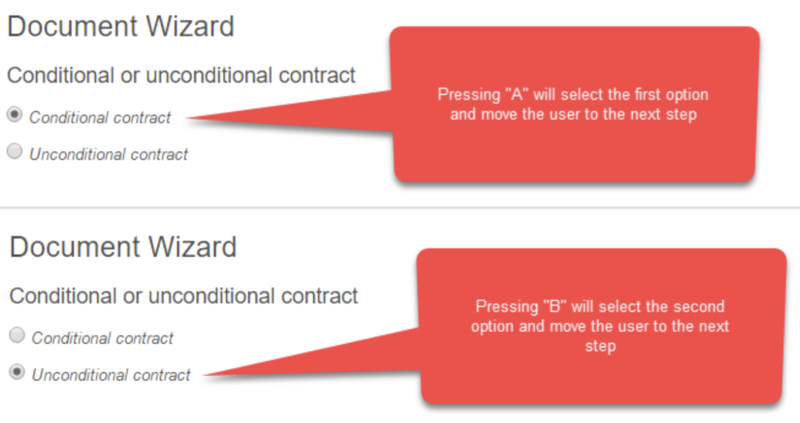 Users can press A, B, C, or D to navigate through options within the document wizard. All blue buttons within the document generation wizard will be connected to the return / enter key. When generating documents, the cursor defaults to the first editable field.